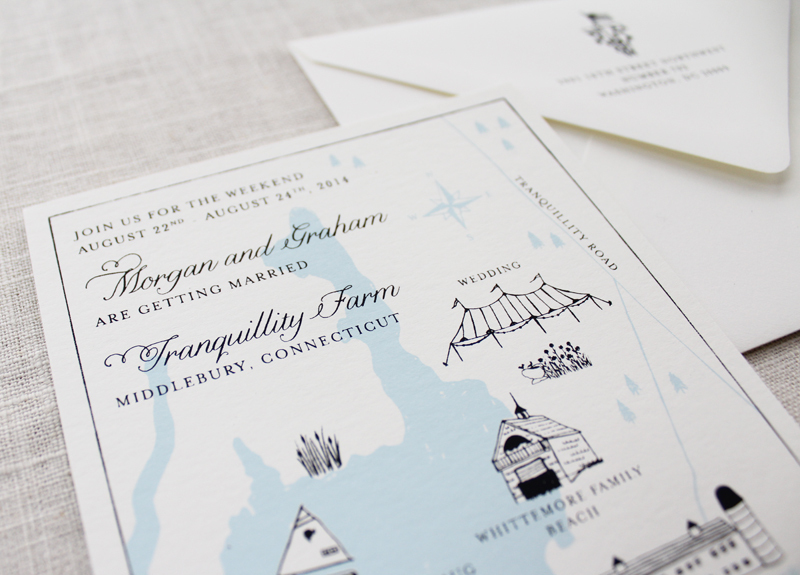 Morgan and Graham are getting married at a family place that they hold dear to their hearts called Tranquility Farms. 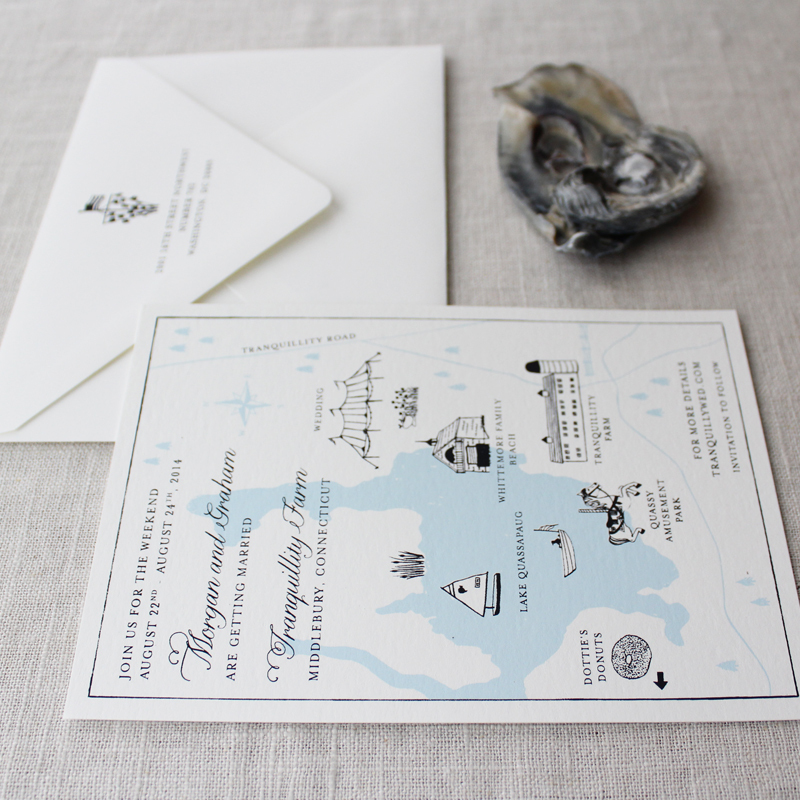 This Save the Date is screen printed in light blue and charcoal gray. 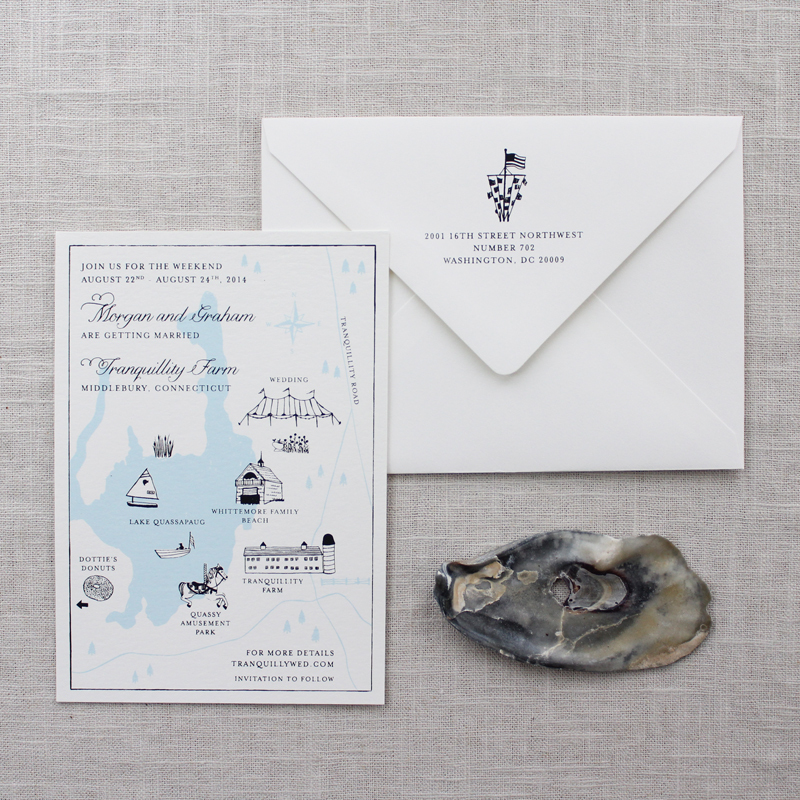 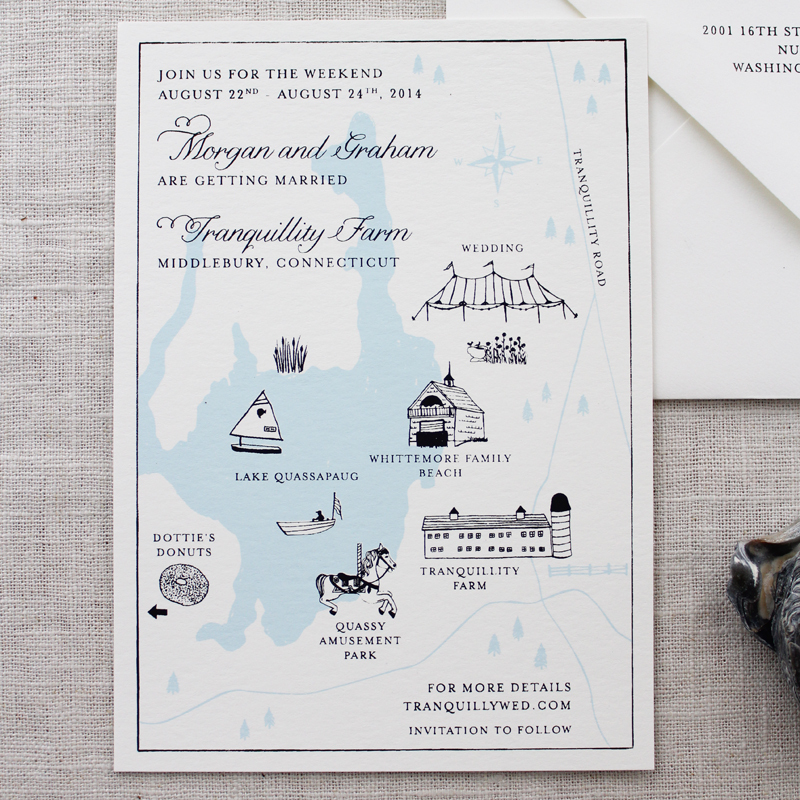 Features a hand drawn map with illustrations of the wedding location and nearby attractions.